It's Taste WA Wine Month! Don't miss three amazing Taste WA Wine Month Offers! Offers are valid during March only. 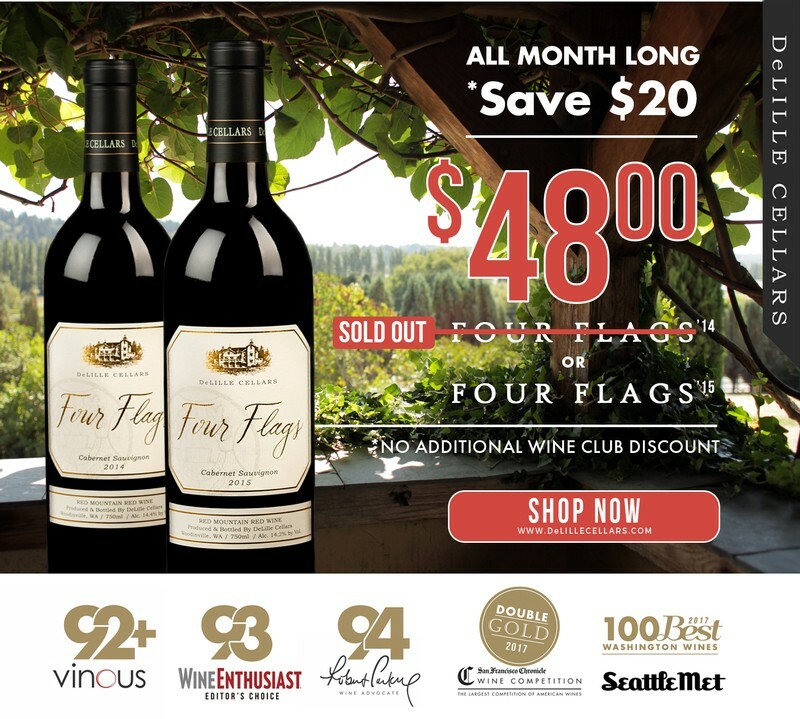 Four Flags is a final offer price; no club or additional discounts. 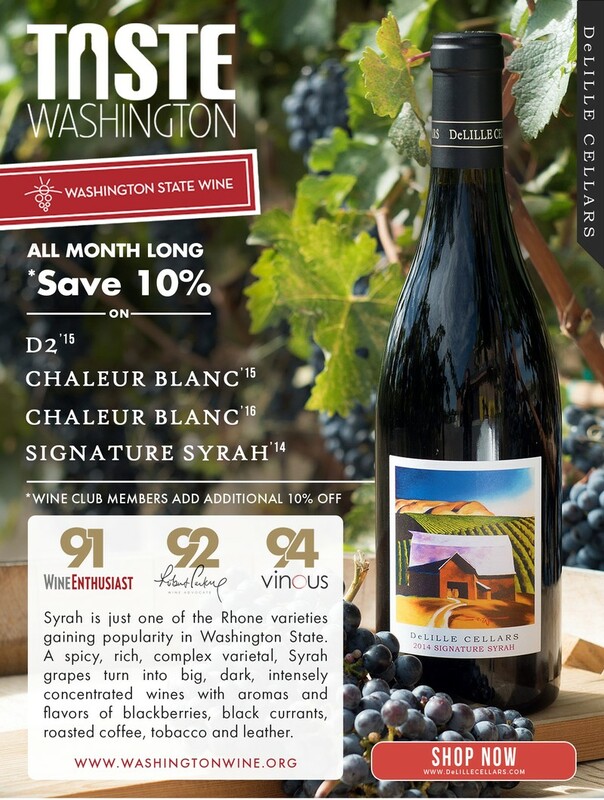 Save 10% on D2, Chaleur Blanc and Signature Syrah; Wine Club add an additional 10% on top of your club discount. 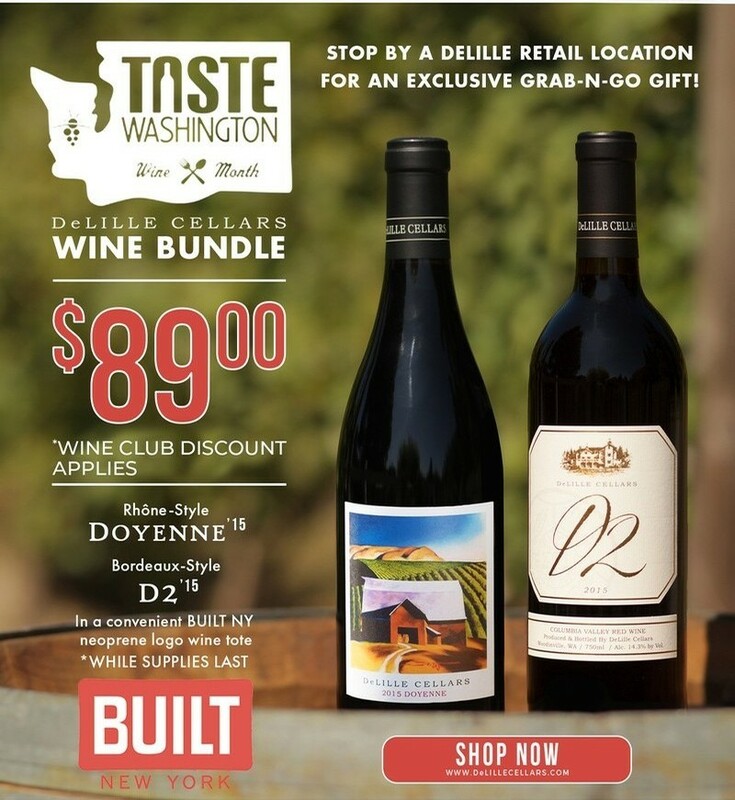 Built NY(R) Wine Tote includes D2 and Doyenne; Wine Club discount is applicable. 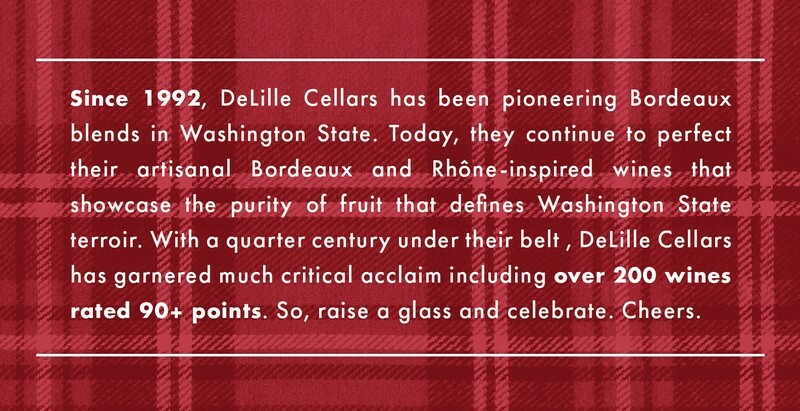 Purchase at our locations in Woodinville or Kirkland, or online at http://www.delillecellars.com/TASTEWA. Only valid on new orders placed in March, 2018. Only valid on current vintage 750mls. My time at Chave in Hermitage in 1997 showed me that you could blend plots of the same varietal to create a seamless wine, rather than blending different varietals as we do in many of our other wines. 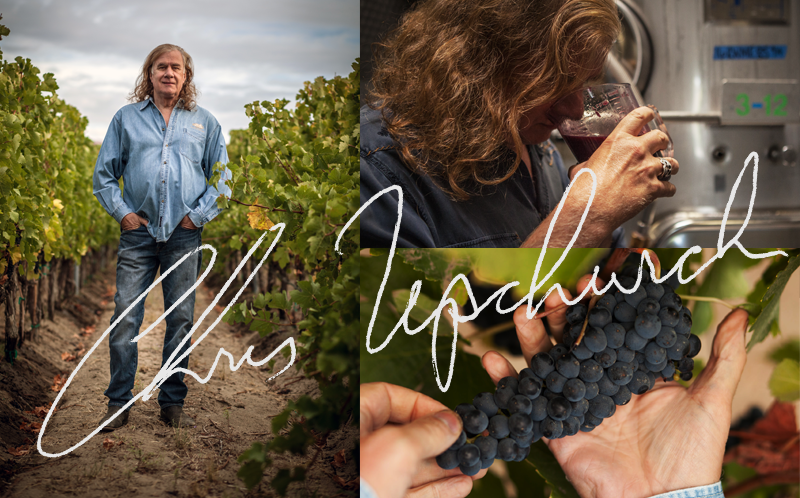 I spent a day with Jean-Louis Chave. He has seven plots on Hermitage Hill and all seven have different soils and exposures. Each plot created a different wine even though they were the same varietal, Syrah. We took samples of all seven plots from one vintage and started blending them together. We carried this principle for blending plots of the same varietal with the crafting of our Four Flags Cabernet Sauvignon from the Red Mountain AVA. One day in the cellar, we explored the idea of blending Cabernet from four of the best vineyards in Red Mountain. Could we put together a blend that would showcase the nuances of each vineyard in a seamless wine? The challenge was to build a wine where we could still distinguish the characteristics of each vineyard; where one doesn’t overrun the other. It isn’t always achievable, but we found with Four Flags, it was, and our first vintage was in 2010. AND A TRIBUTE TO OUR STEADFAST COMMITMENT TO THIS RESPECTED VITICULTURAL AREA. Since our first vintage in 2010, Four Flags has received an average score of 95 points from Robert Parker, has been named the Seattle Times "Wine of the Year," and has received the Wine Enthusiast's Editors' Choice Award. Grand Ciel: Our Estate Vineyard: Grand Ciel demonstrates a seamless purity of Cabernet fruit with cassis and Herbes de Provence – what I like to call a “Cabernet popsicle.” If you love Cabernet you will love this vineyard. Ciel du Cheval: Ciel du Cheval has much shallower soils and gives us minerality and “Pauillac” graphite flavors along with blueberry flavors. 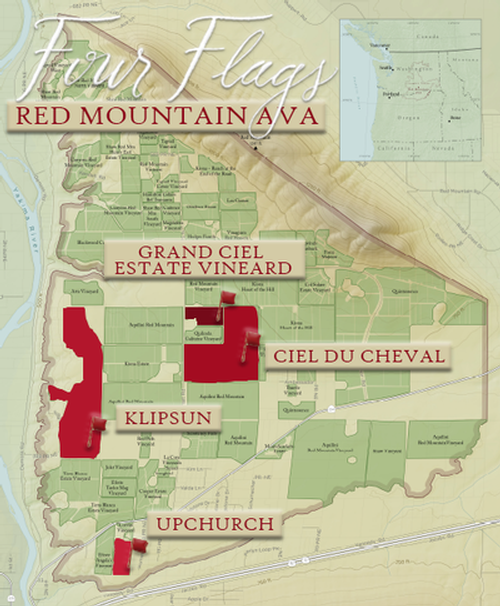 Klipsun: Klipsun is at the bottom of the Red Mountain AVA and has deeper soils. Klipsun fruit is very rich and ripe, creating concentrated wines with plum brandy nuances. Upchurch: Upchurch Vineyard has a definite floral aspect to it, coming from clone 2 Cabernet Sauvignon, offering violets and faded roses along with rich fruit.